Successful traders know that it is not necessary to always be in the market with open positions in order to be profitable, what is crucial is to be in the markets at the right time. What happens to your money when sitting on your Metatrader 4 account while you are waiting for the right opportunity to trade? Nothing. This is why Key To Markets is offering the perfect solution for you: Key To Savings Account. What’s the KEY TO SAVINGS Account? 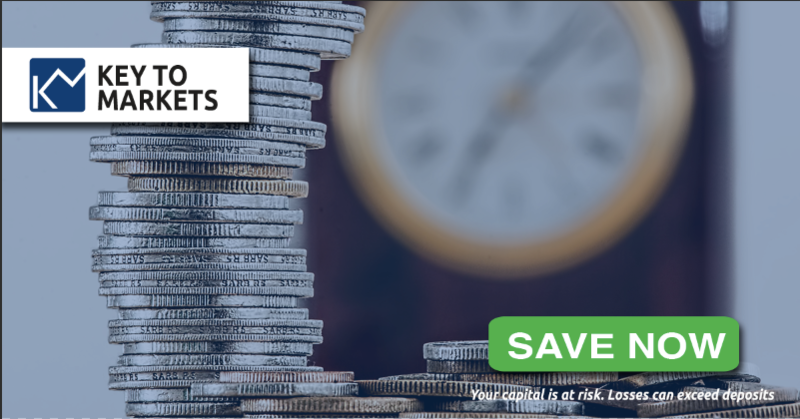 The KEY TO SAVINGS Account is a deposit account where you can transfer your unused margins and it earns you an interest. Log in your secure client area. 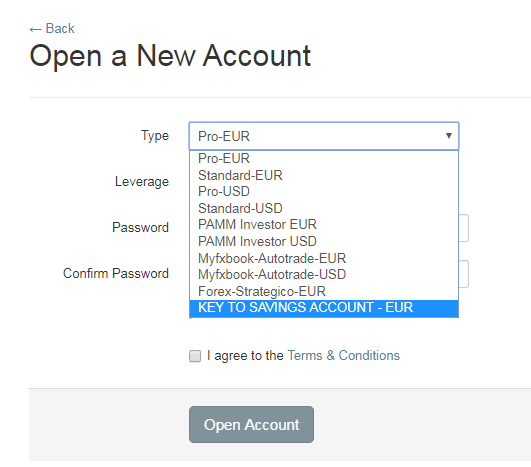 Select “Key To Saving Account” on the drop down menu. Type and confirm your desired password (8-10 digits, mix of lower/upper caps and numbers). 2) Instant and easy transfer between your accounts. You can instantly transfer your funds from your MT4 Trading account to your new KEY TO SAVINGS Account using the “Transfer Funds” button. 3) 0.5% annual interest paid Monthly. 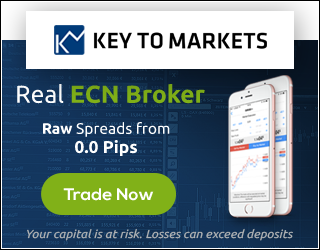 Key to Markets automatically calculates the interest (on a daily accrual basis) and pays it into your account at the end of each calendar month. The Annual Percentage Rate of interest is currently 0.5%. (Key To Markets reserves the right to change this rate at any time, please read the Addendum of the Terms of Business). 4) Withdraw your funds at any time without any limit or fee. There is no minimum time commitment to withdraw funds and/or for accruing interest. You can withdraw your funds whenever you want and without paying any fee.